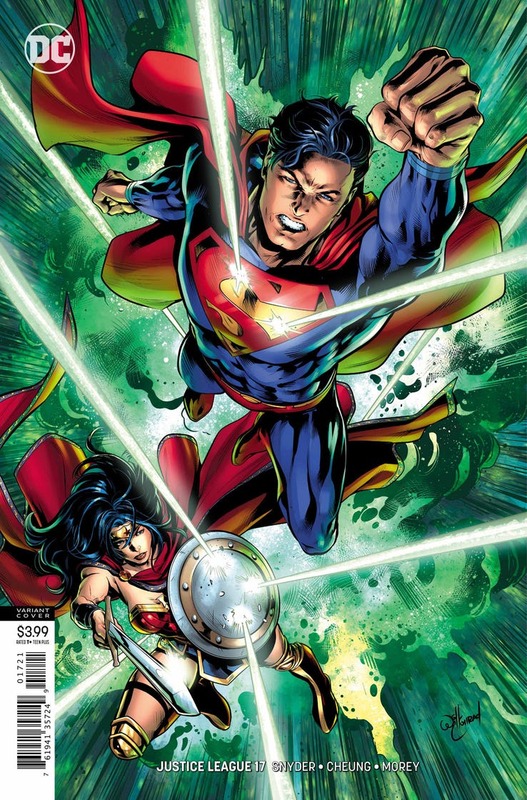 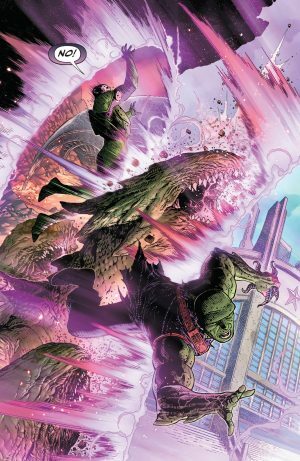 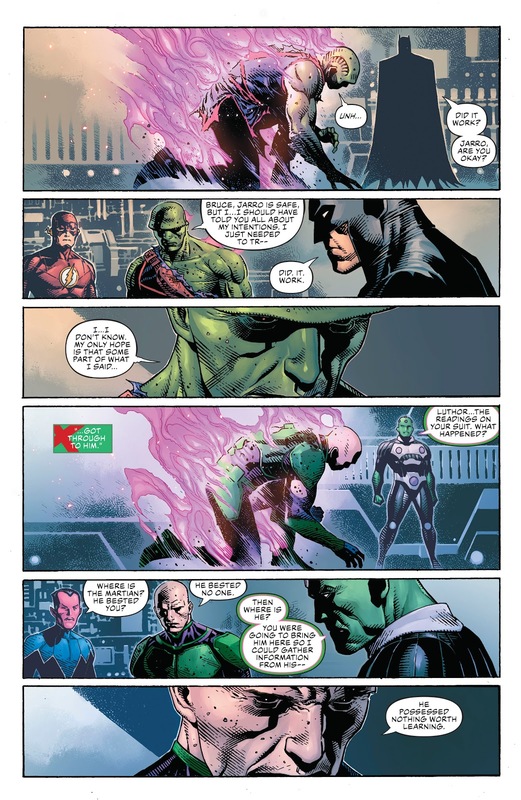 DC Comics Universe and Justice League #17 Spoilers and Review follows. 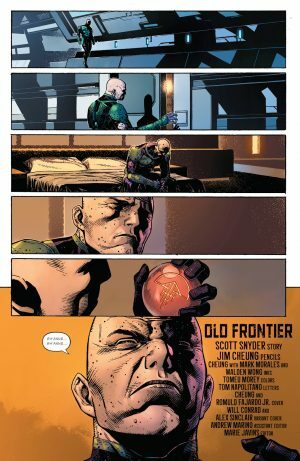 An Unusual Legion Of Doom Lex Luthor Mystery and Secret History Revealed On Mars With Martian Manhunter?! The book opens on Mars and Lex Luthor joining Martian Manhunter deliberately as he was invited. 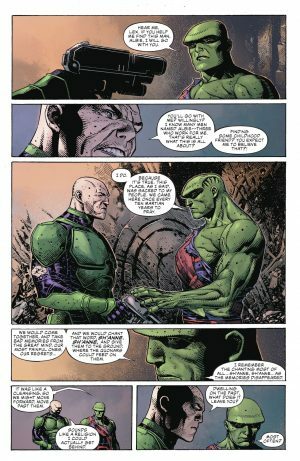 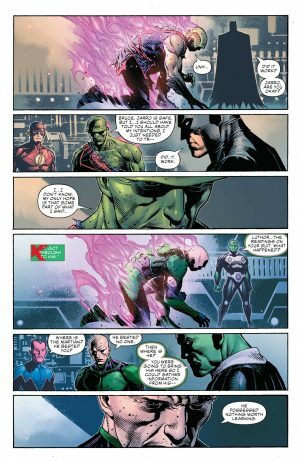 Martian Manhunter seems like a candidate for the Sanctuary in Heroes in Crisis since he seems to be communing and playing with his dead wife and dead child. 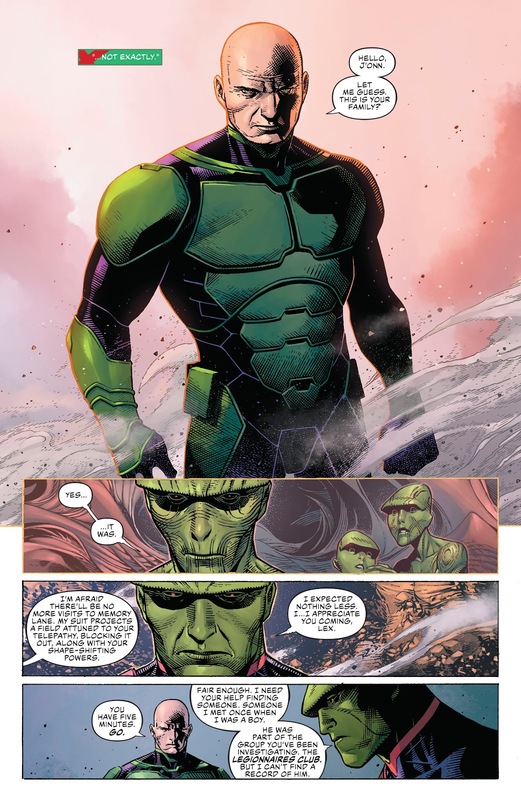 We then a get a flashback to when the Martian Manhunter first came to Earth; he came as a boy now and was trapped. 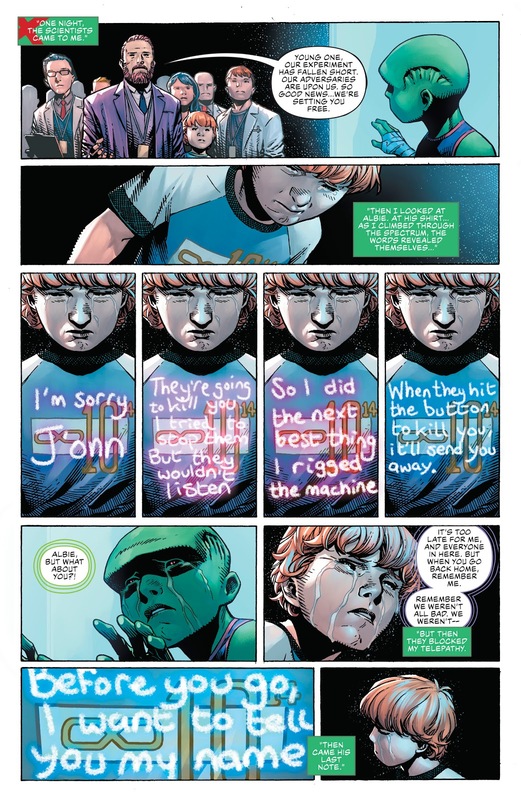 but befriended by a young boy named Albie who has a interesting t-shirt that can share seemingly hidden messages. 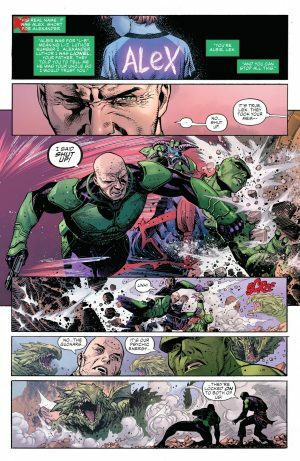 Martian Manhunter wants Lex Luthor to help him find Albie and then he’ll willingly go with Lex and be confronted by Perpetua who is trapped by the Legion of Doom. We also learn more about the Totality symbol and that Martian Manhunter things they all need to rethink their old archetypes, world views, concepts. 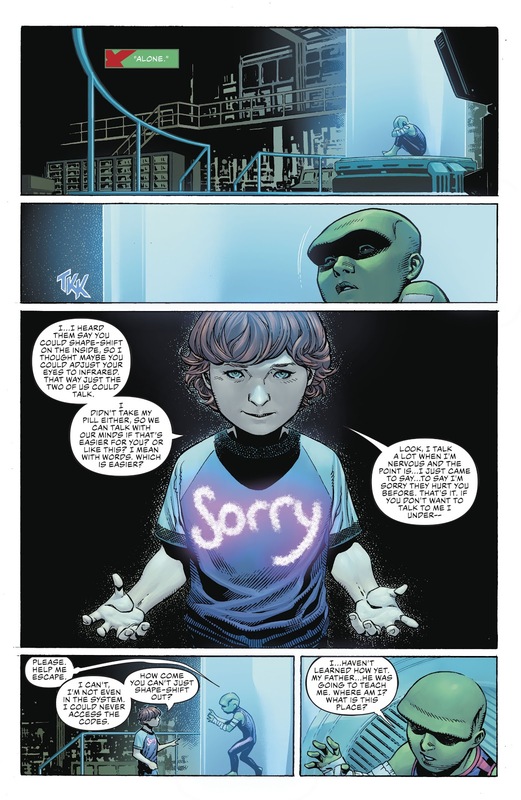 Perpetua is not what she seems. He pivot to the past again and learn that the humans were going to kill the boy Martian Manhunter, but Albie rigged the device so that instead of killing him, it would transport him unknowingly to the adults. Turns out Albie was a young Lex Luthor and for some reason these moments have been wiped from his mind by someone perhaps his own dad. …is this a long redemption tale for Lex Luthor? 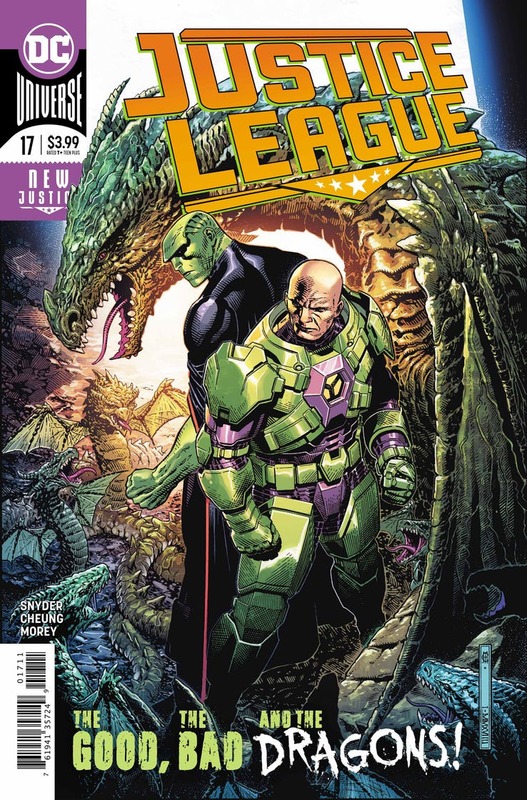 Are they building to him turning on the Legion of Doom and rejoining the Justice League? 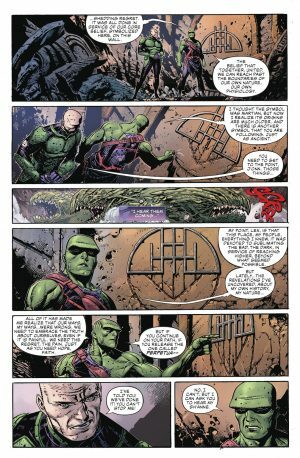 AMAZING art and intricate yet accessible story that continue the main storyline, but also reveal some interesting, touching personal moments. 9 out of 10.